Sleeveless Lace up Dress with Fringe Detail. This dress made for that colorful girl who isn’t afraid of being flirty and showing some skin. This dress has to be laced up on all four seam, center front, right side, left side and center back seam. You can have fun with different color ribbons. SKU: drs12h02hl. Categories: Spring Dresses, Summer Dresses. 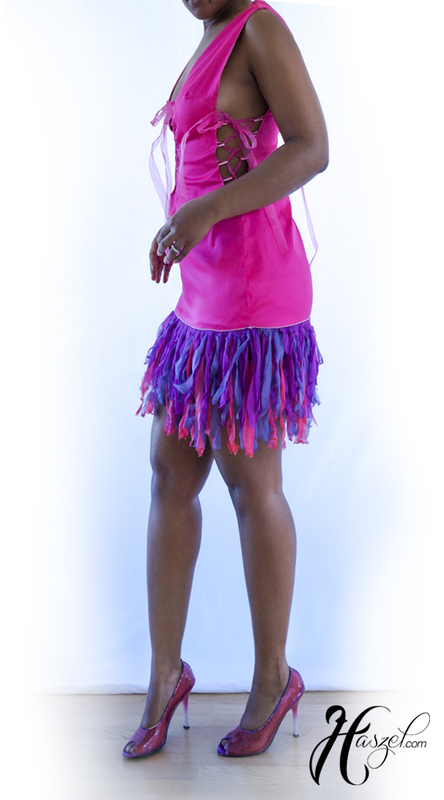 Tags: above-knee, bow, criss-cross, dress, frilly, fringe, lace, lace-up, magenta, open-back, pink, purple, short, sleeveless. Color: Pink / Purple / Orange.